It’s the most wonderful time of the year. 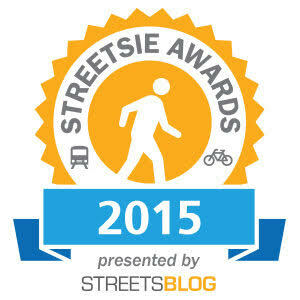 It’s 2015 Streetsie awards voting time! Longtime readers probably remember the drill. This year there are six categories: Elected Official, Civil Servant, Business, Media/Journalism, Advocacy – Individual, and Advocacy – Group. Voting starts this week and will close on Tuesday, January 5, 2016 at noon. Reader voting accounts for one half of the scoring this year, with one quarter going to SBLA staff voting, and another quarter going to a SBLA steering committee vote. Richard Bloom – Bloom represents Santa Monica and Westside cities in the state assembly; he is a former Santa Monica City Councilmember and Mayor. He has been supportive of expanded transportation options, including rail, walking, and biking. 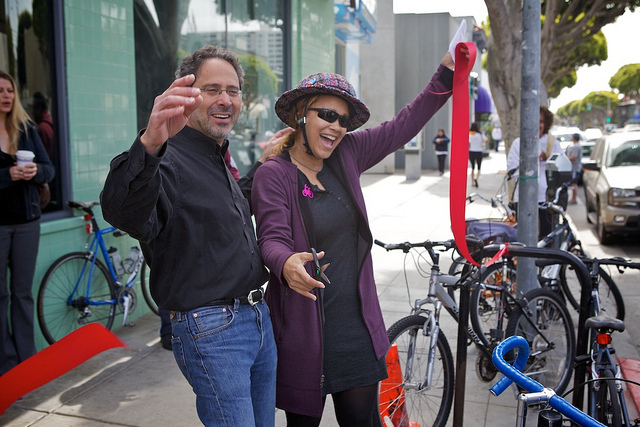 Bloom played a vocal role in getting L.A. County’s first bike-share system implemented throughout Santa Monica, including sticking up for the future expansion of the Westside system in the face of Metro resistance. Bloom also introduced successful legislation that allows ticketed cyclists to go to traffic school-like diversion programs. Mike Bonin – Bonin, as Westside L.A. City Councilmember, Metro Board Member, City Council Transportation Committee Chair, and Expo Construction Authority Vice-Chair, is at or near the center of nearly every major transportation-related decision that the city of Los Angeles makes. In these decisions, he is not only firmly on the side of livability, but is very strategic about using every opportunity to move government agencies in the right direction. Bonin championed the city’s multiple adoptions of its multi-modal Mobility Plan 2035. He is also in the forefront of the council on parking reform, protected bike lanes (coming to Venice Boulevard in 2016), extending rail to LAX, and ending LAPD’s pedestrian stings. He’s now a perennial Streetsie nominee – can he win this year? Joe Buscaino – Another familiar perennial Streetsie nominee, Buscaino is the Los Angeles City Councilmember for the 15th District including Watts, Wilmington, and San Pedro. 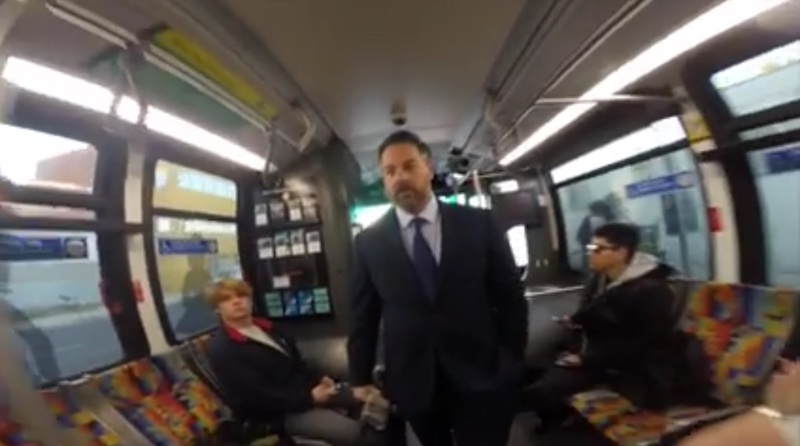 Buscaino probably deserves a Streetsie solely for his YouTube channel; he recently rode Metro’s newly extended Metro Silver Line to work at City Hall. If you haven’t seen it, watch him grapple firsthand with the challenges of a car-free commute between San Pedro and Downtown and engage with commuters that make that trek every day. He has brought public art to Watts as part of his continued efforts to rebuild its civic center. His legislative record is also exemplary: he has supported Mobility Plan 2035, sidewalk repair, bike facilities, affordable housing, and transit expansion. His staff includes Streetsie winner East Side Riders cycling champion John Jones III. Mike Gatto – Another recurring Streetsie nominee, Assemblymember Mike Gatto represents California’s 43rd Assembly District, which includes Hollywood, Los Feliz, Glendale, and Burbank. 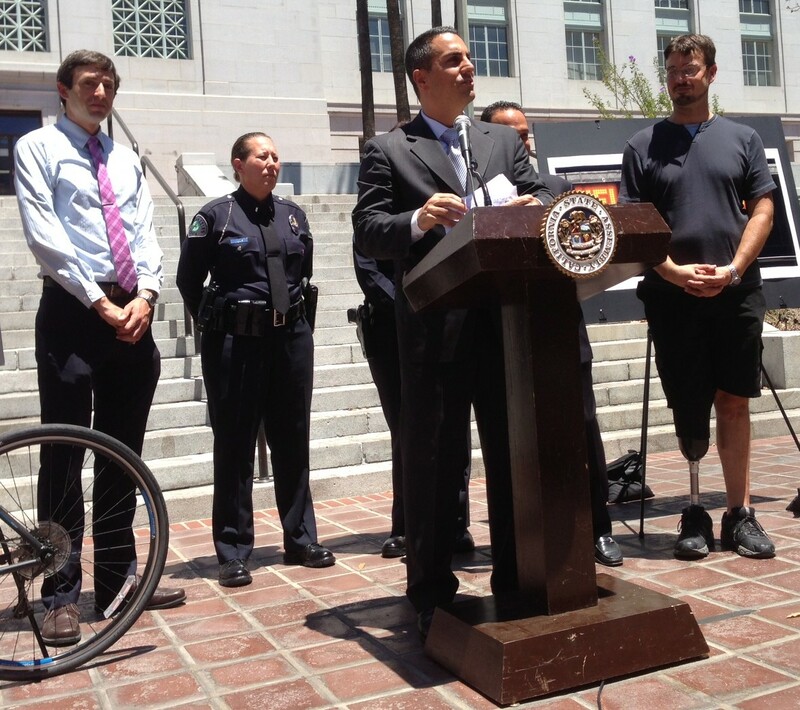 Gatto is a tireless crusader for legislation to end California’s hit-and-run crimes. Though he has had some excellent legislation stymied by gubernatorial vetoes, this year he was successful leading the charge for a new statewide hit-and-run yellow alert system. Hilda Solis – Los Angeles County Supervisor Hilda Solis, who represents Supervisor District 1 centered on East Los Angeles, is an increasingly emerging voice for livability, especially in her role as a Metro boardmember. Solis lead Metro efforts to minimize lower 710 Freeway expansion, and supported efforts to make Metro’s Boyle Heights joint development sites to better serve communities. She has attended and promoted CicLAvias. She has also consistently raised bicycle and pedestrian concerns in board discussions. Continuing her earlier work in environmental justice, she has taken up the fight against lead-acid battery recycler Exide, calling for independent oversight of the cleanup around the Vernon plant. Honorable Mentions: Los Angeles City Councilmember Mitch Englander has been great on Reseda Boulevard and curbing hit-and-run crimes. Los Angeles City Councilmember Felipe Fuentes has been on the right side of every livability project he has weighed in on. Los Angeles Mayor Eric Garcetti demonstrated leadership at Metro and signed L.A. on to Vision Zero. 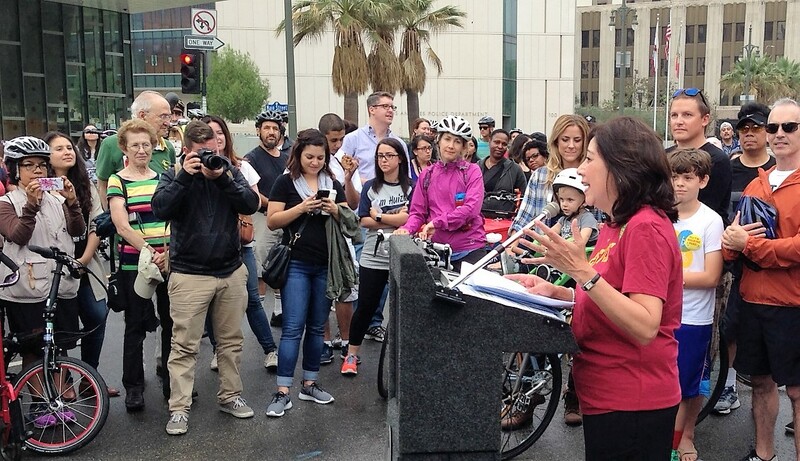 Los Angeles City Councilmember Nury Martinez pushed for expanding CicLAvia into new San Fernando Valley communities (coming March 16, 2016) and is working toward more humane approaches for dealing with prostitution, a big issue for many neighborhoods. Mark Ridley-Thomas also ably lead Metro, including guiding the Rail2River multi-use path project from great idea to funded project ready to build. Hilda Solis also made one of the bolder choices in her MTA deputy by selecting Javier Hernandez, Cyclertopia/BikeSGV’s program director. Meanwhile, Richard Bloom in an op-ed published on this site argued that MTA should weigh the scale in favor of “interoperability” when his favored bike share company wasn’t selected and thus could have jeopardized millions of dollars in Federal funding (caused by sole-sourcing a contract). Don’t worry, I’ll tell this to Assemblyman Bloom’s face in the unlikely event he wins (if he just shows up to congratulate another winner I’ll let sleeping dogs lie). 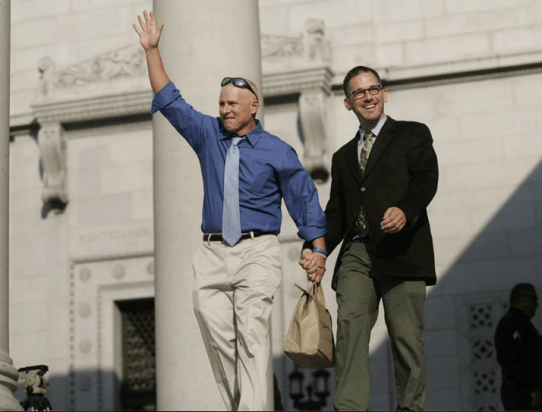 Vote for the 2016 Streetsie for Elected Official of the year: Councilmember Bonin, CA Climate change leaders, Mayor Garcetti, Santa Ana Councilmember Martinez, or Measure HHH.